Enjoy 15 thought-provoking, poignant, and funny animated shorts from six countries and including six student films. 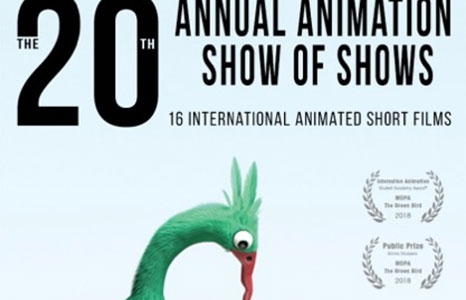 For 20 years, the Animation Show of Shows has been presenting new and innovative short films. Over the years, 38 of the films showcased went on to receive Academy Award nominations, with 11 films winning the Oscar. Andrew Chesworth + Bobby Pontillas, U.S.